Almeria airport has changed its WiFi policy to give users the first 15 minutes of internet access for free. The airport explains that the idea is for users to quickly send emails confirming flight times, or download reading material for the flight. Anyone who needs more than 15 mins will have to pay for it at the same rates as before. Nice idea. Welcome to Almeria, the friendly airport. 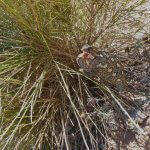 This entry was posted in Blog and tagged aena, airport, almeria, wifi by David. Bookmark the permalink.